Cortinarius Falls under the Eukarya domain because of its possession of its membrane wrapped organelles along with possessing a true nucleolus. All organisms must posses these traits to be considered Eukaryotic. The characteristic to fall under the kingdom Fungi are: Non-vascular, Chitin based cell wall, and reproduce by sporelation. Some of the most important products come from Fungi. The class for this fungi is Bastiomycetes, gilled mushrooms with basidocarps. Most germinate directly to form a mycelium and including the gill fungi, pore fungi, coral fungi, and bird's-nest fungi and the Giant puffball and stinkhorns. In the past centuries Agaricales have been classified by the presence of gills used for spore bearing structures known as Basidum. Taxanomicly speaking the order Agaricales other wise known as “gilled mushroom” is no longer a current group. 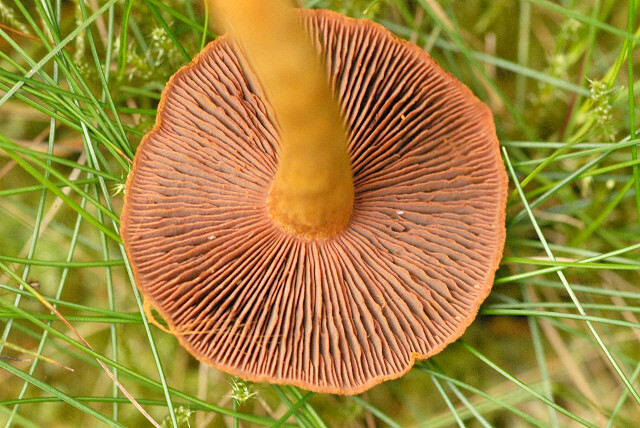 New DNA research has proven that gills do not necessarily indicate a relation to alike mushroom. A interesting mushroom in this order is Psilocybin cubensis. Cortinariaceae is a large family with up too 2000+ species world wide. A partial veil covers the gills in most young Cortinarius fruiting bodies. The veil joins the edge of the cap to the stem, this is composed cobweb like strands which is name the “cortina”. 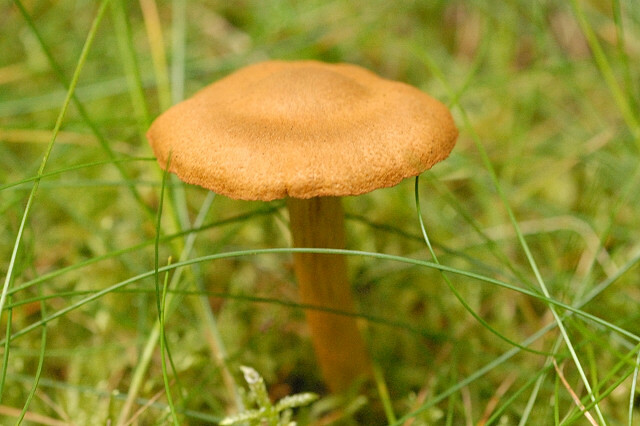 The deadly Toxin Orrelanine has shown to be present in large number of Cortinarius Genus. But with some being edible a large amount of identification occurs in this group. For more information how to discriminate between the lethal and safe to eat cortinarius mushroom visit my Identification page. 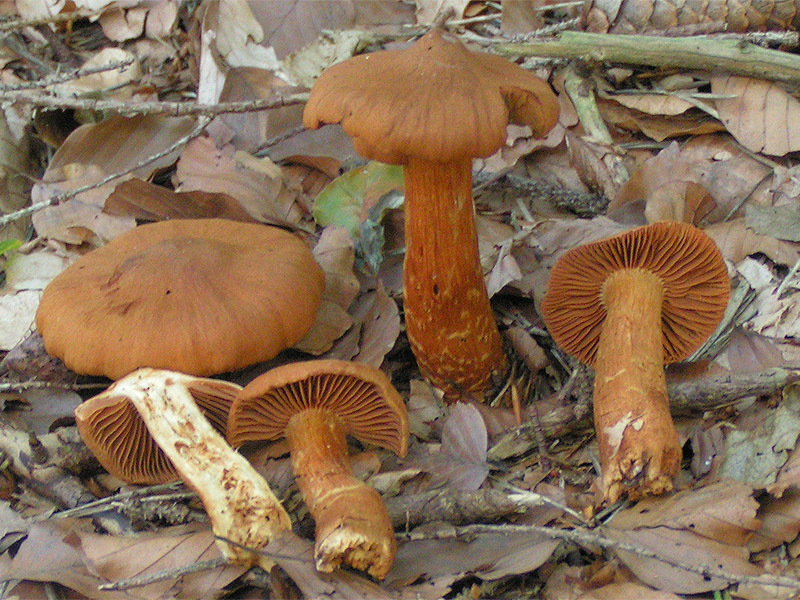 Mushrooms under the genus Cortinarius have mycorahazial associations with the tree in their environment. Check out my Interactions page for more info on this mutualistic relationship. The stems of the mushrooms tend to budge out in a club like fashion at the end. A key to identifications the presence of “ring zone” around the upper part of the stem, an indication of a partial veil that has deteriorated. Cortinarius Speciosissimus also known as Lethal web caps and has been renamed in some literature to Cortinarius rubellus. Contains Orrelanine toxin. This tree shows that all organisms evolved from a single common ancestor. From there it branched out into the three domains of life we use today. Fungi which fit in the Eukayra domain was once thought to be more closely related to plants than to animals. The organisms in the domain must have membrane wrapped organelles, and a true nucleolus. But now because of new molecular genetics technique, new data points to Fungi and Animals sharing a more recent ancestor than Fungi to plants. Family level sampling of fungal genomes across the Fungal Tree of Life. a) phylogenetic tree of current classification. Blue = completed or in progress, Red = proposed for Tier One sampling, Green = remaining unsampled families. A=Ascomycota, B=Basidiomycota. *The four classes represent the most phylogenetically diverse classes of nonlichenized fungi will be Tier One targets for sequencing. This Phylogentic tree looks at the recent work by the, Genome Institute of the Department of Energy embarked on a five-year project to sequence 1000 fungal genomes from across the Fungal Tree of Life. Based the chart Cortinarius s. falls under the Agaricomyctes and is one of the most studied groups of all the fungi. This is most likely to the large number of mushrooms typically found in this group.